Incorporated in the year 2004, we have acquired fame within a short time frame by manufacturing & marketing unmatched pharmaceutical formulations. 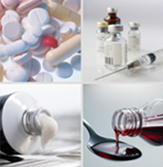 The impeccable quality of the products has effortlessly established Sifam as the number one choice in providing premier pharmaceutical stuff. Sifam is a company managed by experienced professionals highly qualified in their respective field of operations.